Monarch Air Group provides private air charter in Midland, TX. Our clients benefit from top-notch service, unrelenting dedication to safety, wide selection of aircraft, and years of experience in chartering private jets. To obtain a free quote, please use our online quoting tool provided below, or call toll free 1-877-281-3051. Monarch Air Group provides private jet charter flights in and out of Midland, Texas, USA. Midland is a city in western Texas with a total area of 71.5 square miles. With a population of 113 931 people, Midland is the 28th most populous city in the state of Texas. Often referred to as “The Tall City”, Midland is renowned for its downtown skyline. The tallest building in Midland is the 24-story Bank of America Building standing at a height of 332 feet. The most notable points of interest include Midland-Odessa Symphony & Chorale, McCormick Gallery, Midland Community Theatre, Permian Basin Petroleum Museum, American Airpower Heritage Museum, and much more. The city is served by Midland International Airport (MAF / KMAF), which is located 11 miles from the center of Midland. 1. BGS, Webb AFB, Big Spring, United States. 2. CCG, Crane County Arpt, Crane, United States. 3. HCA, Howard County, Big Spring, United States. 4. INK, Wink, Wink, United States. 5. MAF, Midland International, Midland, United States. 6. MDD, Airpark, Midland, United States. 7. 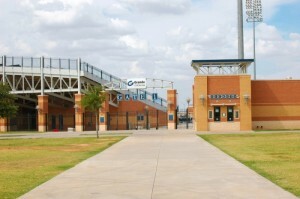 MIF, Roy Hurd Memorial, Monahans, United States. 1. Hilton Midland, 117 West Wall Street, Midland. 2. Hilton Midland, 117 West Wall Street, Midland. 3. Midtown Hotel Midland, 3100 West Wall Street, Midland. 4. Hilton Midland, 117 West Wall Street, Midland. 5. Days Inn Midland, 3904 W Wall St, Midland. 6. Midtown Hotel Midland, 3100 West Wall Street, Midland. 7. Hilton Midland, 117 West Wall Street, Midland. 8. Days Inn Midland, 3904 W Wall St, Midland. 9. Clarion Hotel & Conference Center, 4300 West Wall Street, Midland.